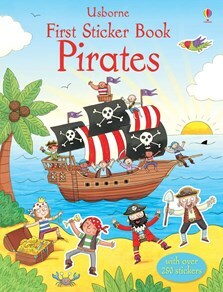 Join a pirate gang on their adventures on the high seas in this exciting book with over 250 stickers to bring each picture to life. Filled with busy, colourful scenes of pirate life above and below deck, including up in the rigging, at a pirate feast and in the midst of a pirate battle. Sure to keep young ragamuffins entertained!